This second model Kugel grenade had a different fragmented body to easy the manufacturing process. 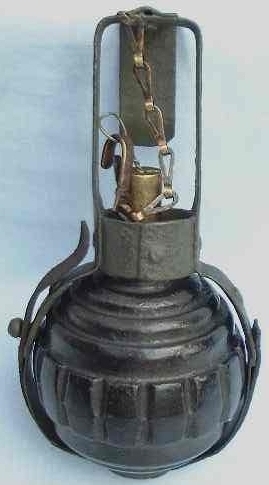 The pull-friction fuze was made of an alloy and had a reinforced pullwire. It still had a drilled hole in the fuze body to ease the pressure when fired. 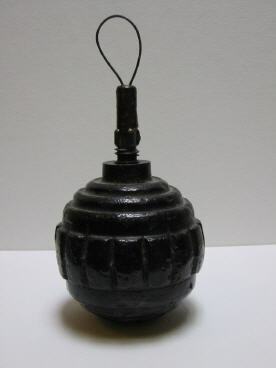 Like all grenades at the time, it was shipped unfuzed and had it's body plugged. 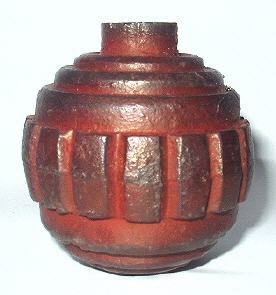 Practice grenades were painted red.